My toddler is at an age where she mimics everything I do because she wants to be like me. I am trying to capitalize on this behavior and pass on great habits. Lately we have been focusing on brushing our teeth. I received this great oral care set from Nuby to try out. 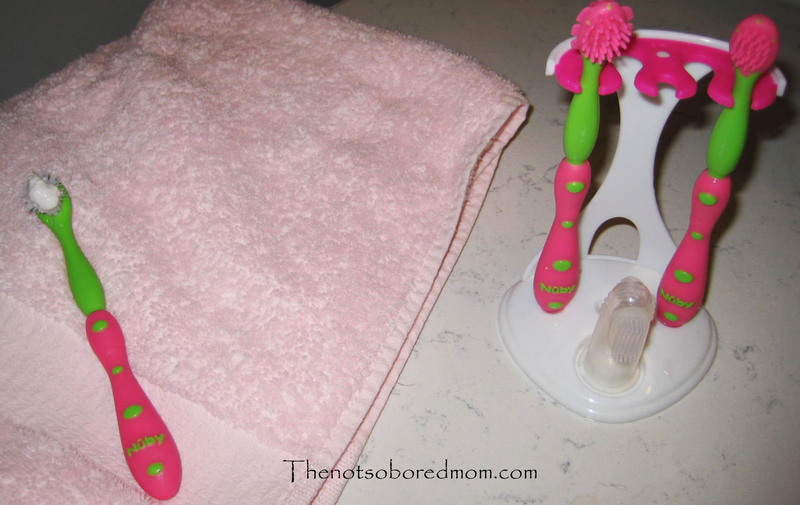 It is perfect because it has a 4 stage system for brushing so whether I have to brush my little one’s teeth or she is brushing on her own we have the right tool for the job! Whenever we are working on a new skill the most important thing is making it fun! We brush together, sing songs and even smear a little toothpaste on our face to keep it silly. Having a cute toothbrush that’s easy to hold and gently on a toddlers teeth and gums is important too. 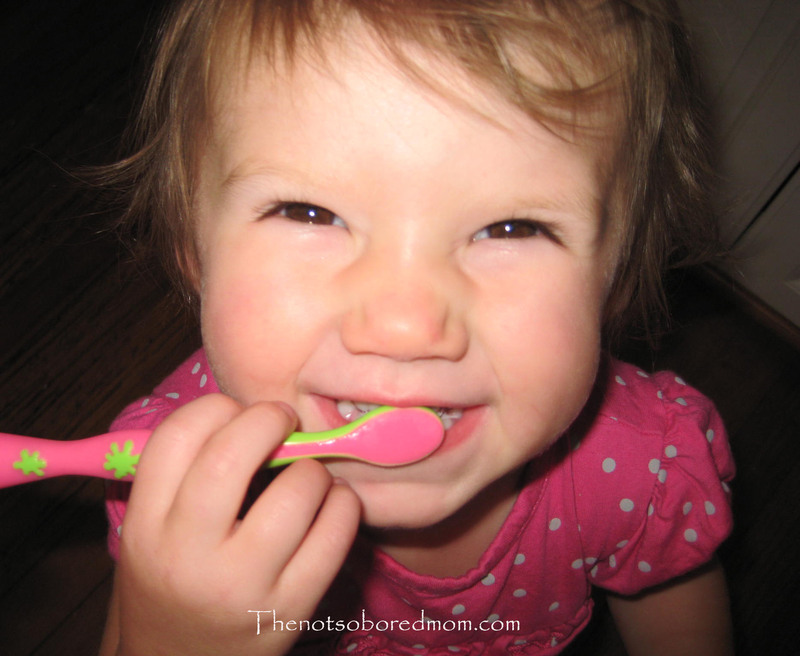 It’s never to early to start creating great dental habits for your baby or toddler. And at less than $5 dollars at most retailers the Nuby Oral Care Set is the perfect way to get started. Nuby Oral Care Set is intended for babies through toddler hood. They are BPA free and can be purchased at your local Babies R Us or online at http://www.Amazon.com. For additional information about these Nuby products, follow Nuby on their social media sites http://www.facebook.com/nubyusa or http://www.twitter.com/nubyusa. Previous postYou had me at Bacon!